The Apostles’ Creed is the Baptismal Symbol; and the Nicene Creed, is the sufficient statement of the Christian faith. These Creeds were adopted by the Church in the fourth century. The Apostles’ being said at Baptisms and at Morning Prayer and Evening Prayer. 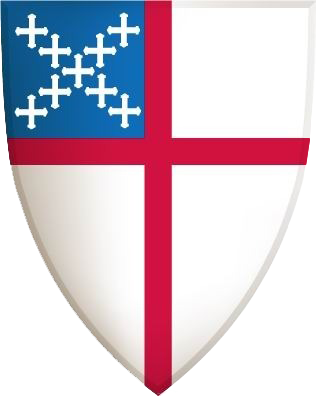 The Nicene Creed is said every Sunday at celebrations of the Holy Eucharist in Episcopal and Anglican churches around the United States and world.(http://www.creeds.net/ancient/nicene.htm). 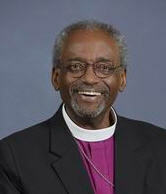 Pictured above is the Most Reverend Michael Bruce Curry who was installed as the 27th Presiding Bishop and Primate of The Episcopal Church on November 1, 2015. He was elected and confirmed at the 78th General Convention of The Episcopal Church in Salt Lake City, UT, on June 27, 2015. He is the Chief Pastor and serves as President and Chief Executive Officer of the Domestic and Foreign Missionary Society and chair of the Executive Council of The Episcopal Church.